Perrin Induction and Intercooler Couplers - Pann Auto Performance - San Diego largest aftermarket automotive performance parts - What do you drive? 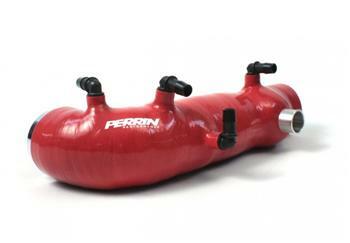 All spigots on the PERRIN inlet hose are 1/2”ID for maximum flow from crank case vents and other vacuum connections. All connectors used on our hoses are glass reinforced nylon (rated to 400 degrees F) which will withstand engine bay temps found from normal driving to extreme racing conditions.